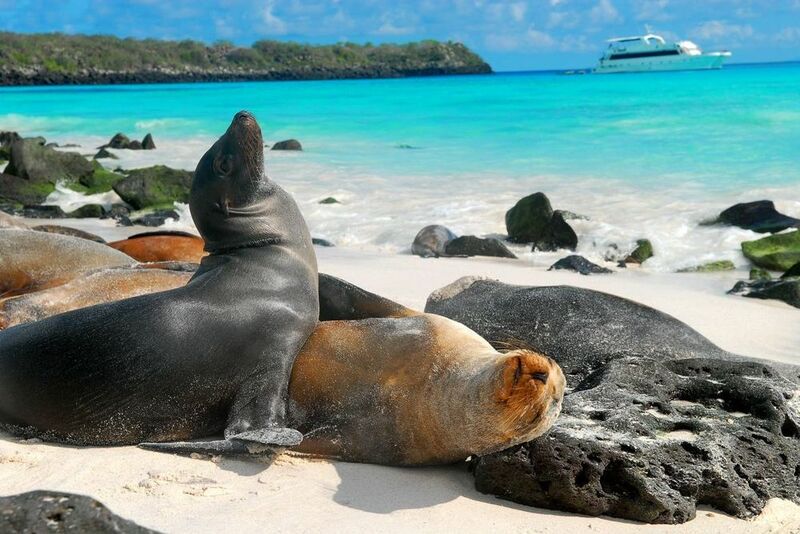 We are so excited to announce the Yoga Journey, a brand new way to tour the Galapagos with Galapagos Best. The Yoga Journey, set to take place in 2018, combines a full excursion to the Galapagos Islands with the practice of yoga. Activities will not only include yoga, but also kayaking, biking, paddle boarding, hiking, snorkeling, and swimming. We'll serve healthy food, almost exclusively prepared with organic ingredients grown on Galapagos farms. The Yoga Journey offers an opportunity to connect with yourself, with other people, and with nature while on an unforgettable trip to the Enchanted Islands. 2019: Arrival in Guayaquil. A representative of Galapagos Best will wait for you outside baggage claim, and bring you to your hotel. 2019: Early morning Yug-Do, a tour of Guayaquil, and a tour of La Finca Cacao & Mango. Home to approximately three million people, Guayaquil is Ecuador’s economic capital and largest city. From the new riverfront boardwalk and colorful Santa Ana Hill, to the myriad of museums, trendy shops, and delicious restaurants, there is a lot to see and do in Guayaquil. Highlights on the city tour include the Malecón 2000, Santa Ana Hill, Las Peñas Neighborhood, Seminario (“Iguana”) Park, the Metropolitan Cathedral, and City Hall. The Cacao & Mango Farm is family-owned, and surrounded by the dramatic hills of the Churute Ecological Reserve and Churute River. In addition to cacao and mango, the farm’s fields produce rice, papaya, dragon fruit, avocado, breadfruit, tomatoes, green peppers, and lemon grass. Many of these ingredients will become part of the organic lunch that you will be served during your visit to the farm. In addition to touring the farm’s grounds, you will also participate in a hands-on demonstration of the process by which the farm's cacao becomes rich chocolate, led by a local grower. 2019: After early morning yoga, we'll return to Guayaquil's J.J. Olmedo Airport for your flight to the Galapagos Islands. After arriving, we'll transfer to Santa Cruz Island for the chance to see giant tortoises in their natural environment. After lunch, we'll visit Garrapatero Beach for leisure and kayaking. 2019: We will begin the morning with yoga exercises focused on stretching, coordination, and breathing. The exercises maintain the wellbeing, flexibility, and equilibrium of one’s mind and body. Afterwards, we'll visit Tortuga Bay Beach, for yoga and other beach activities. 2019: We will continue with the early morning yoga, stretching, coordination, and breathing exercises. Then, we'll visit Itabaca Channel where you will board a yacht headed to Mosquera Beach, a beach famous for its beautiful white sand and sea lions, and a perfect spot for meditation and yoga. That afternoon, we'll visit North Seymour for the chance to see frigate birds, sea lions, blue footed boobies, swallow tail gulls, land iguanas, and other animals. 2019: After early morning yoga, stretching, and breathing exercises, we'll board a speedboat headed to Floreana Island. We'll visit Asilo de la Paz and Cerro Alieri to see the scalesia forest, daisies, the medium tree finch, giant tortoises, and pirate caves. The pirate caves will be a unique spot for sunset meditation. 2019: After sun salutation and yug-do at sunrise, we'll walk to Post Office Bay for kayaking and paddle boarding. Paddle board yoga, swimming, and snorkeling will all be possible activities here. In the afternoon, we'll visit the Robinson Crusoe Farm. 2019: After a sun salutation and yug-do in the morning, we'll travel to Isabela Island. Here, Tintoreras Islet is a great spot for snorkeling. 2019: We'll mountain bike along the "Wall of Tears" mangrove trails and along white sand beaches. We'll visit Love Beach, Flamingo Lagoon, and do sunset yoga on the beach. 2019: Returning to Puerto Ayora, we'll visit El Trapiche de Don Cabrera, and mountain bike down to Garrapatero Beach for yoga and kayaking. That afternoon, we'll return to Puerto Ayora for shopping and leisure. 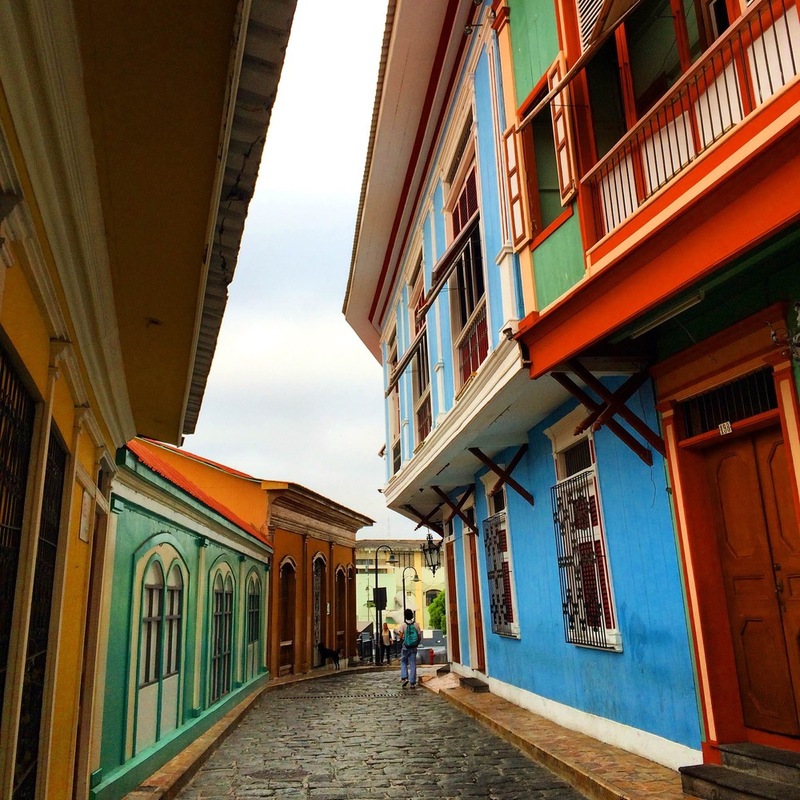 2019 Return to Guayaquil for a free afternoon in the city and a farewell dinner. 2019: You'll begin your trip home!! Please don't hesitate to contact us if you have any questions, or if you're interested in coming along! Together, Desirée Alemán and Rafael Valverde have over a decade of experience teaching yoga. Founding directors of the Ganesha Yoga Studio in Guayaquil, they are both passionate about sharing the activity with others. 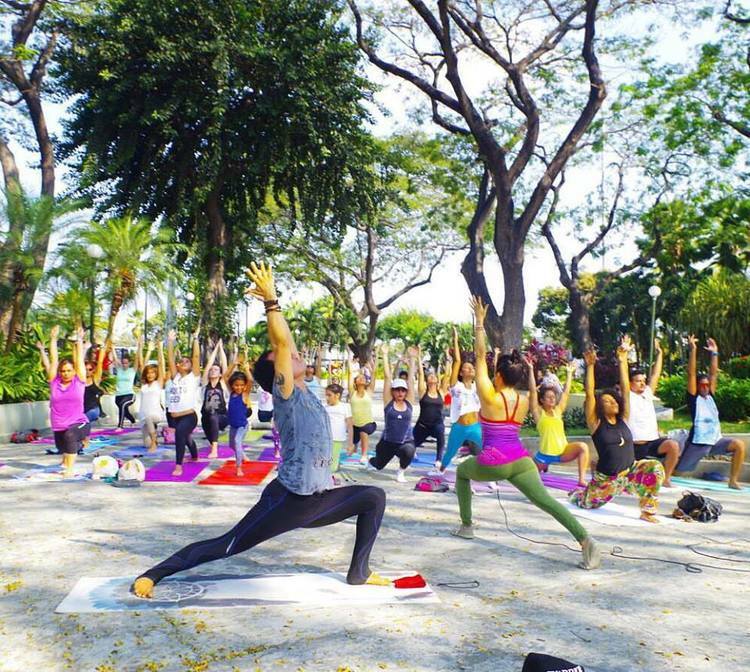 Ganesha Yoga Studio also offers Ganesha Yoga Jam, free open-air yoga classes offered to the Guayaquil community. Expert instructors and enthusiastic about the natural world, the two are sure to lead a transformative yoga journey in the Galapagos. You can learn more about their yoga studio here.